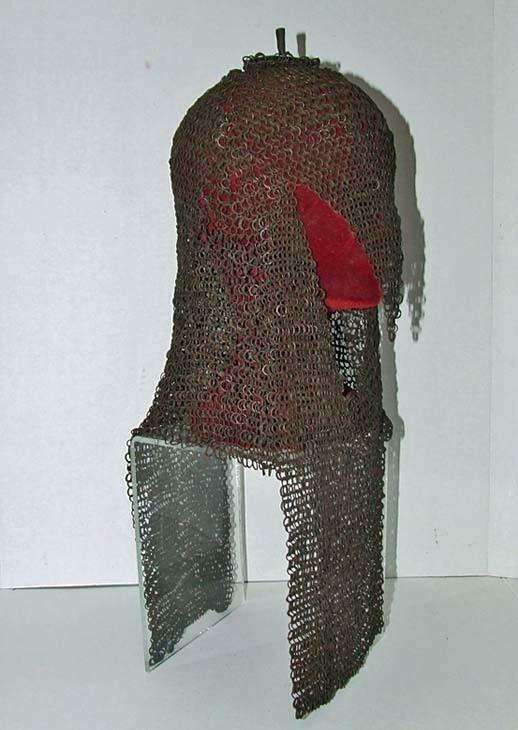 Antique, circa 1500. A.D. -1700. 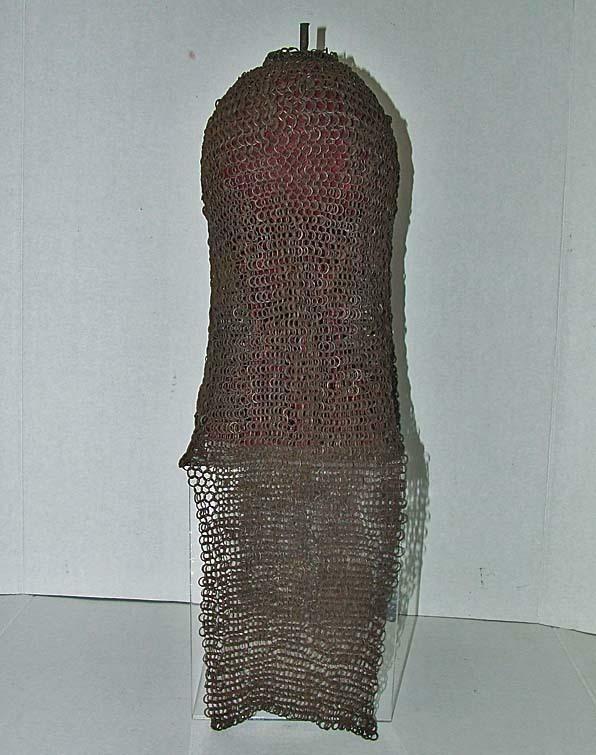 A. D. Period of Imperial Islamic Mughal India, Indo Persian Mail Coif Helmet (Kulah Zirah), formed of hand forged, riveted, iron rings suspended from a circular iron disc fitted on the center with a tubular plume-holder, extending down forming a hood covering the entire head and the neck, the front with a triangular flap over the face and elongated camail, both in front and the back. Height from the top of the steel plate to the end of the bottom link: 53 cm (20.87 inches). 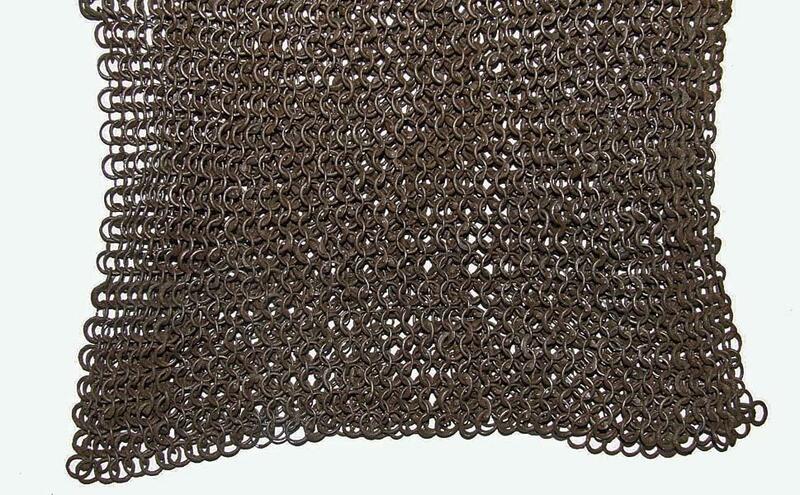 CONDITION: In good condition considering its age, except for minor losses of the iron rings and old repairs by supplementary rings, as is usual with old chainmail. 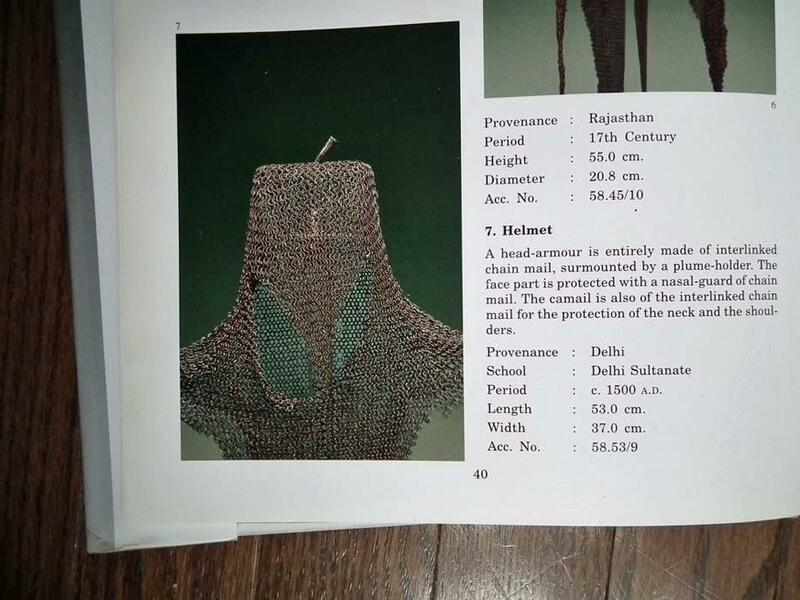 REFERENCES: A two very similar Mughal helmet from the collection of the National Museum of New Delhi, are published in the book, "Indian Armours in the National Museum Collection Catalogue" by G.N.Pant and K.K.Sharma. Page 40. No 7 and Page 38-39. No 1. 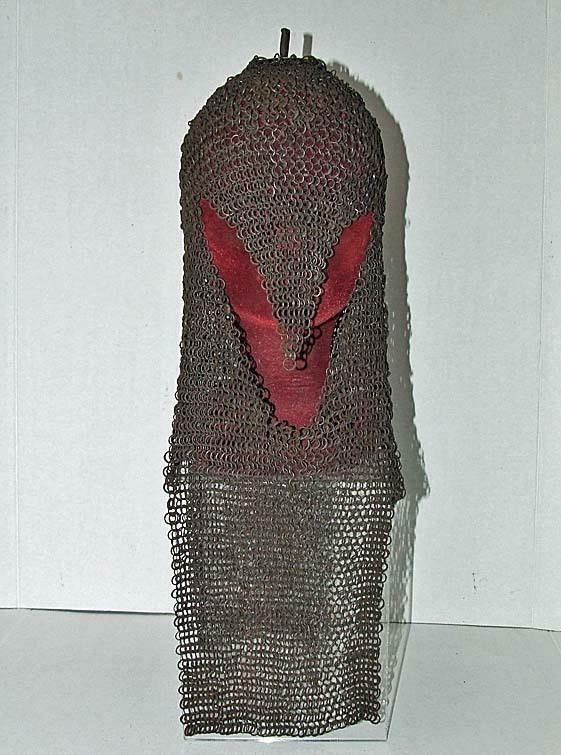 Pictures of these helmets are attached to the listing. 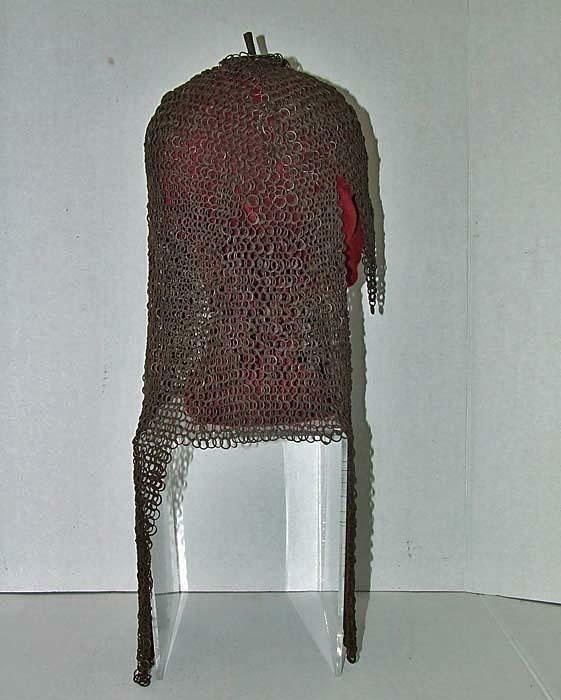 Since the market is flooded by reproductions of Indo-Persian Arms and Armour including Helmets Kulah Zirah, made by artisans, in India, made in the stale off authentic objects, some of them are very well made and professionally aged to look old as authentic 16th - 18th century objects, which for inexperienced collectors look the same as the authentic objects. However, these reproductions do not have any historical or investment value. 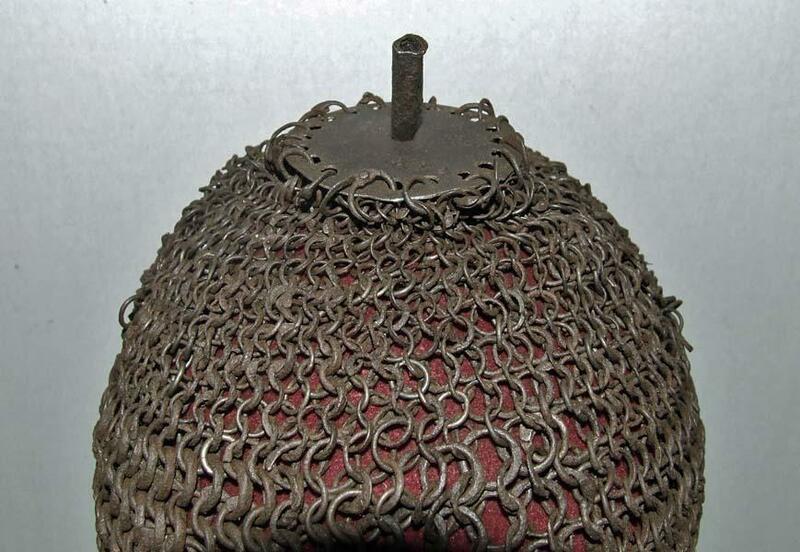 We would like to inform our clients that this is a 100% authentic antique Mughal helmet, circa 1500. 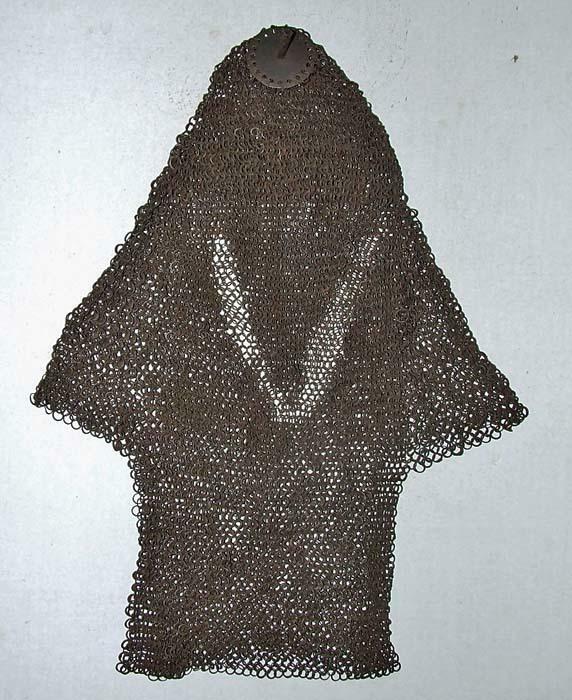 A.D -1700. A. D. and is accompanied by a Certificate of Authenticity.